The true essence of yoga lies in the beauty of its simplest poses like the Staff Pose which is also referred to as Dandasana, where, ‘Danda’ means ‘Stick’ and ‘Asana’ means ‘pose’. Renunciates, sages, and saints often carry a Staff or a Danda with them not as a support, but as a status symbol of being a ‘Danda Swami’. It stands for an erect spine, agile body, strong moral principles, and an active mind. Unlike these sages, a common man or woman usually suffer from a stiff lower back, rounded shoulders, and not-so-erect spine. In the wake of this misery, poses like Dandasana and others come in handy to correct the body’s alignment and also prepare the practitioner to perform other advanced poses. This pose works gently yet deeply on several muscles in the body. It also becomes the starting point of the practice for many practitioners. Many use this as a yardstick to measure the true depth of the practitioner’s abilities when it comes to performing yoga. Let us understand Dandasana Steps along with Dandasana benefits, contraindications, and modifications. Step 1: Begin by sitting on the yoga mat and place the entire body weight on the sit bones. Stretch the legs out in front of you and flex the feet and point the toes towards the ceiling. The heel will be heavily pressed on to the mat, to get an elongation in the feet, and create a sense of alertness. Step 2: Lengthen the back and ensure that the lower back is drawn little inwards, while the sacrum and the shoulders blades are in line. Be seated on the sitting bones, press the legs against the floor, rotate the thighs inwards and lift the groin towards the sacrum (internally). Step 3: The head will be in line with the torso, while the hands are placed either behind the buttocks to support the back or by the side of the thighs with little to no weight on them. Palms of both the hands will be heavily pressed into the floor to gain extra height in the torso. Step 4: Gaze is fixed forward and the practitioner should imagine that his or her spine is like a Staff or a Stick, which is lengthened and connected to Mother Earth. The ends of the spine extend towards the universe and reach the infinity. Stay in the pose for 3 to 5 breaths and jump into another pose or simply perform this pose once again. A simple pose, there are not many Dandasana variations and modifications. But those of who have a weak torso, tight hamstrings or contracted hip joints may start by rolling a blanket or a towel and sit on it in order to gain extra leverage. Also, knees can be bent slightly to reduce effort on the thigh, if the need arises. Practitioners can also sit against the wall to help support the spine and work their way away from the wall. Initially, the practitioners might place a lot of weight on the arms to keep up with the length of the torso and have an erect spine. Gradually, as they perform Dandasana and other poses, the weight from hands will start shifting to the thighs, lower back, and upper back because the muscles will get stronger in these body parts. 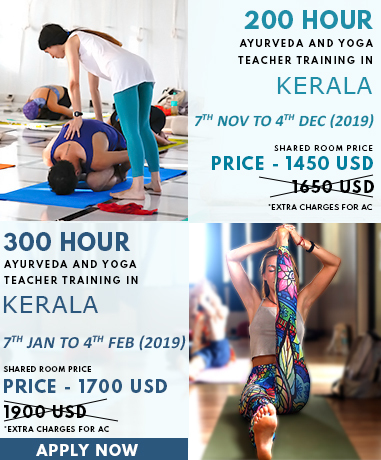 To know about Dandasana in further detail, explore our Yoga Teacher Training In India.